Do you love to travel? Do you love the outdoors? Do you want to be part of an exciting and growing industry where your job can never be described as dull and routine? 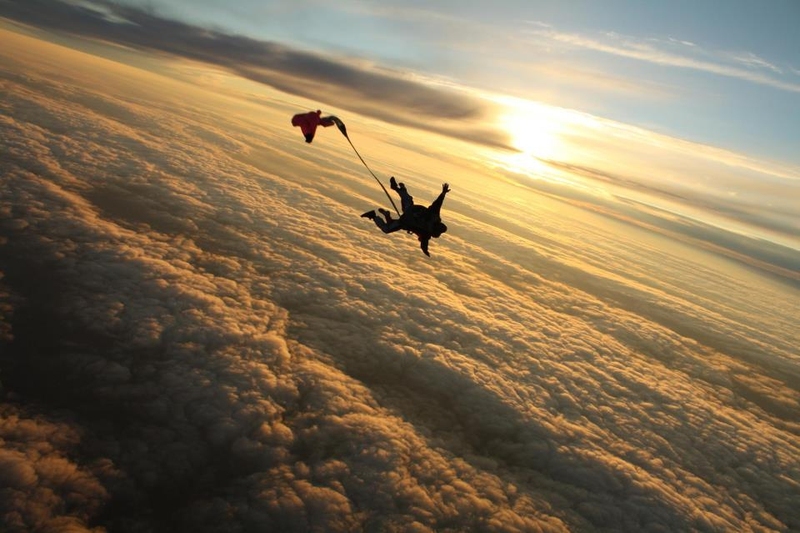 How about becoming a professional skydiver? Due to the increasing number of people trying skydiving for the first time, the skydive industry is experiencing rapid growth and requiring staff to be adequately trained to meet these demands. Skydiving instructors' primary job duties are to help beginning jumpers learn the safety procedures and processes needed to take their first jump. This can entail teaching courses and supervising the jumps themselves. Instructors might also administer quizzes to more experienced jumpers looking to earn the license that will allow them to pack their own parachutes and jump unsupervised. While no formal education is required to become a skydiving instructor, the United States Parachute Association (USPA) offers licenses and instructor ratings for skydivers with experience performing particular types of jumps, such as static line, tandem or accelerated free fall jumps. Earning one of these credentials could help instructors demonstrate to potential students that they've received the proper training and are familiar with current safety standards. Before skydivers can earn instructor ratings, however, they must acquire a class C license from the USPA. This credential requires the completion of 200 jumps, some of which must be landed within two meters of a designated target or meet aerial performance requirements. Candidates must also pass a written exam. Students who earn their C license are qualified to enroll in an instructor ratings course. This USPA-approved training is available at many drop zones (skydiving facilities) and requires applicants to pass an open-book exam on safety procedures, among other topics, before beginning instruction. Once this has been completed, instructor candidates learn how to safely train and supervise student jumpers. Skydiving instructor jobs tend to be seasonal or part-time. And while instructors can be hired as salaried employees, they're generally paid for each class they supervise. According to information from the College Foundation of North Carolina, an instructor can be paid on a per student, per class rate of about $20-$30, although this figure can vary depending on the instructor's credentials and expertise, as well as other factors. O*NET OnLine reported that self-enrichment education teachers, such as skydiving instructors, could expect average job growth from 2012-2022, a rate of 8%-14%.